How to eat less salt and why it matters. Every time I speak to patients about lowering the sodium in their diets the first thing they tell me is, “I don’t use a salt shaker”. That is a good start but there are so many ways for salt to creep into your diet even if you never use a salt shaker. You may not realize that salt is an additive in almost all processed and canned foods. I always think it is important to explain why I am asking patients to change their diet. In my experience, when treatment suggestions make sense, people are much more likely to achieve their goals, but when they don’t understand what they are supposed to do or why they are doing it, they find it difficult to stay motivated. A diet high in sodium will lessen urinary output and increase urinary calcium (the same goes for high sugar intake, more on that in another article). When you eat foods higher in sodium, the extra sodium pulls calcium out of your bone and the results of this is higher amounts of calcium in your urine. This increase in urine calcium could lead to kidney stones and bone loss. Here is an excellent article on the subject if you care to read more. The CDC and the AHA think it best if everyone gets their sodium intake to around 1,500 mg/day. This will not only reduce the risk of stone and bone disease but will help those of you who suffer from high blood pressure. 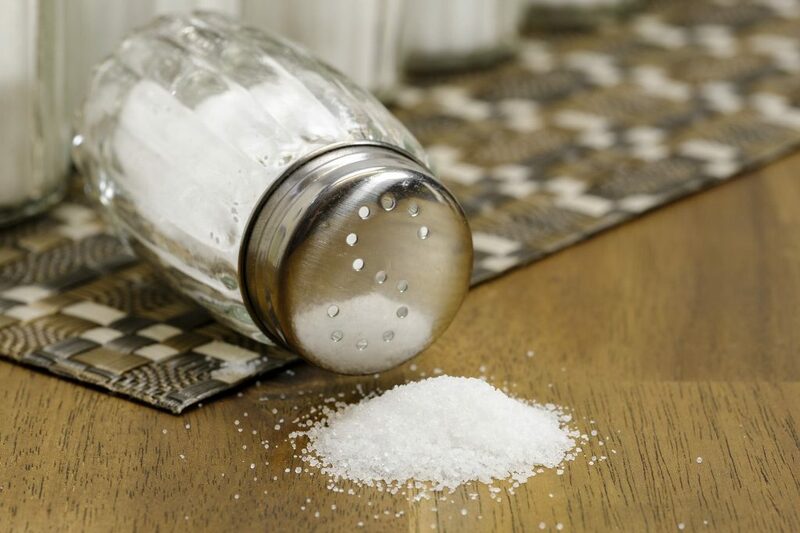 Here is a very informative article written by my mentor Dr. Fredric Coe that will help you understand in more detail why it is important to lower dietary intake of sodium. There are many foods that are high in sodium. Some on the list below may surprise you. There are many, many, packaged foods that now offer low sodium options. When I go to the market, I always look for low sodium products. Perhaps I am buying a can of beans. If I look next to the regular sodium can of beans, often I find a lower sodium version. If my usual brand does not offer a low sodium option, I choose another brand that does. Packaged food labels can be tricky to interpret. Below is a list of terms with definitions provided by the American Heart Association to use as a guide as you shop for groceries and are reading the labels, particularly on your boxed and canned goods. If you can’t remember them, take a picture with your phone so that you can refer to it as needed. The above is not a complete list of foods that are high in added sodium. You need to be proactive and knowledgeable about how much sodium you are eating every day. Most of the time you can easily monitor the amount of sodium you are eating by reading the nutrition label. It will tell you how much sodium you are eating PER SERVING. If you eat some chips and the label says that there are 390 mg/sodium per serving and there are 2 servings in the bag and you eat the whole bag then you just consumed 780 mg/sodium. This is half the amount you should be eating per day in just one bag of chips! If you put ketchup on your burger you are adding 154 mg/tablespoon. If you don’t pay attention to how much you are using, it is easy to add a lot of extra sodium to your already salty cheeseburger. So what am I saying? You never can put ketchup on a cheeseburger? Forgo that olive in your martini? Pack a lunch every single day? Is meeting someone for a dinner forbidden? No! I am not saying that because I am not asking you to completely change your lifestyle. That would be very difficult to do. I doubt you would maintain such changes forever. Rather, I am suggesting there are ways to modify what you eat without total lifestyle changes at once. What I am saying is to reduce the number of high sodium products in your diet. If you are using ketchup on your burger, don’t just glob it on without a care. Be conscious of how much you are actually using. Squirt a smaller portion on your meat. When eating pizza, have three slices instead of four. By simply lowering the size of your portion of high sodium foods, you will automatically lower your daily intake of sodium. Instead of eating out 4 times a week, can you eat out twice instead? Eating in restaurants is a subject worthy of a whole other article and I will write that soon! Remember, small changes add up very quickly. In my nearly 20 year experience, it takes the average patient who is really making efforts to lower dietary sodium about two weeks to start noticing how incredibly salty foods are and to enjoy lower sodium foods. Even my most salt addicted patients are quite happy that they changed the way they eat. Really! If you need help making this important change, join The Kidney Stone Prevention Course. I can teach you how to lower your sodium in a way that will be tailored specifically for your lifestyle. You will be so happy you did!